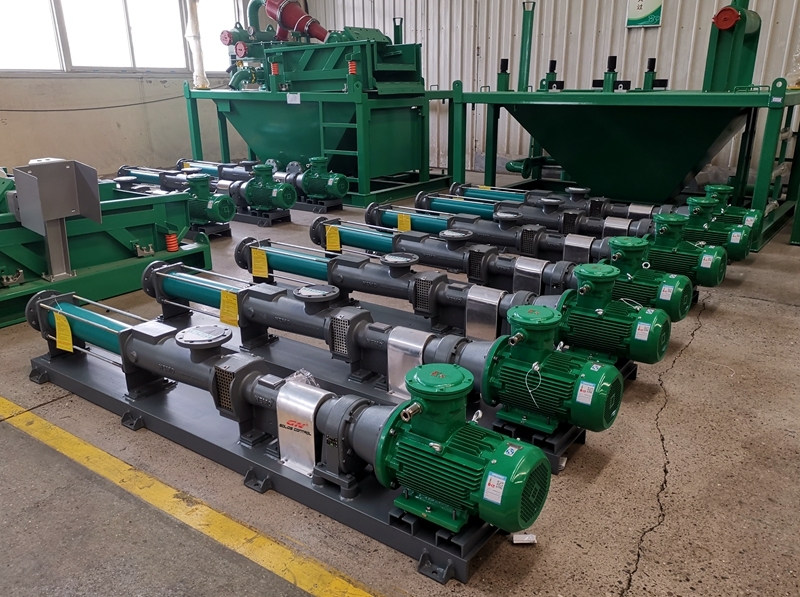 Recently GN shipped one batch of hydraulic drive decanter centrifuges with feeding pumps and 80 units of centrifugal pumps to Middle East, The feeding pump is Netzsch brand screw pump, this is the popular and ideal equipments to feed decanter centrifuge. We have electric drived decanter centrifuge and full hydraulic drive decanter centrifuge for different client’s requirement, especially for heavy drilling fluids, hydraulic drive centrifuge will be a good option. Compared with electric drive decanter centrifuge ( high speed decanter centrifuge, middle speed decanter centrifuge, VFD decanter centrifuge, centrifuge bowl diameter from 9 inch to 30 inch), the hydraulic centrifuge bowl assy is same, just the drive system and structure design is different. Hydraulic drive decanter centrifuge could be used in the area with high ambient temperature for heavy mud with flexible bowl and differential speed various application like barite recycling, mud dewatering and waste cuttings management. 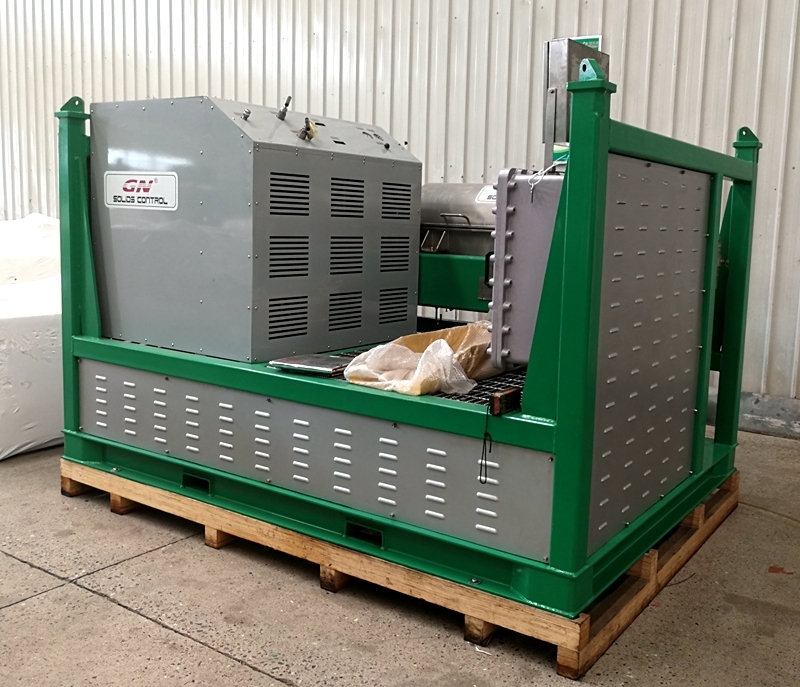 It is necessary to use hydraulic drive centrifuge for high viscosity, heave mud in high temperature area, and it is easier to adjust the differential speed to get better performance of the centrifuge treatment. If you need more information about Hydraulic drive decanter centrifuge, pls contact with GN solids control.